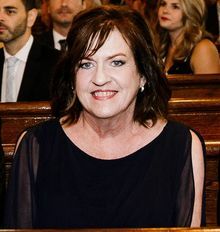 Ellen C. (nee Barlow), Age 62, of Havertown and Newtown Square PA, on January 13, 2019. Beloved wife of Frank J. Gorbey. Loving mother of Jacqueline C. Gorbey (Michael Kolodziej), and Devon B. Gorbey. Cherished daughter of the late Geraldine (nee Quigley) and Harry Barlow. She was also the Owner of Onde Spalon. Church, 380 Highland Lane, Bryn Mawr, PA 19010. Interment Private. In lieu of flowers, contributions made to The Oblate Sisters of St. Francis de Sales, 399 Childs Rd, Childs, MD 21916 would be appreciated. Frank, Jacqueline and Devon, I was sorry to hear of your lose. I understand the last two months were tough. Now Ellen is at peace. In time a hope you find peace with her passing. Frank, I am so sorry for your loss, when I saw Ellen's obituary, I was shocked, so sad, so young, please know that I will be keeping you and your family in my thoughts and prayers. My heart is broken. My thoughts are with your family. We are so very sad to hear about Ellen. Our hearts and prayers are with you and your family. Ellen and I met at Gordon Phillips Beauty School. We became fast friends, both starting on the same day not knowing what this journey had in store for us! A few days after graduating I got married and Ellen was one of my bridesmaids, a bit later Ellen got married and I also was in her wedding, fun times, both of us starting our lives and careers. We remained close friends for years, but as life would have it, our paths took us in different directions. Many years later I reconnected with Ellen professionally at her salon in Newtown Sq for a bit.. I was so saddened to hear about Ellen...my deepest sympathy to Frank, Jacqueline and Devon. May you be held in love and peace .